Projects moving LED Snowfall lights as well as red and green points of light with optional flash and timer settings. 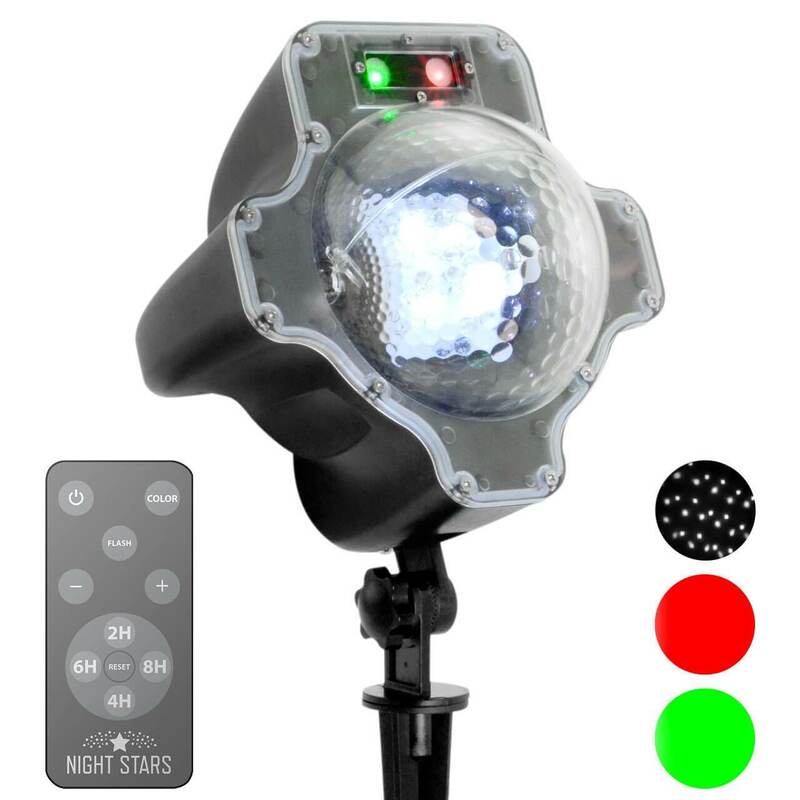 Select single or combo laser colors, steady or moving LED snowfall. Low Voltage, Durable & weather resistant.